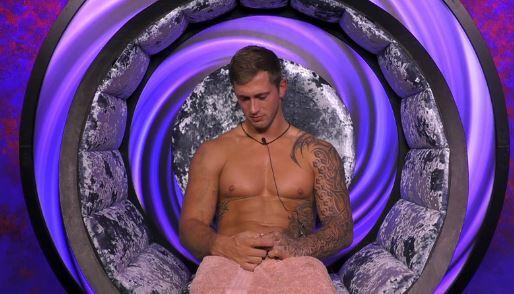 Dan Osborne and Jacqueline Jossa reportedly had a huge argument just hours after Dan left the Celebrity Big Brother house on Monday. After coming in at third place during one of the most controversial series of CBB to date, it's been claimed that the 27-year-old former TOWIE star was 'furious' that wife of one year Jacqueline was not at the studios in Elstree to greet him. Instead, a source has revealed to The Sun that the former EastEnders actress, 25, chose to hit up London's Cirque le Soir nightclub for a raunchy girls' night out. A picture, thought to be taken that same evening, shows Jacqueline receiving a lap dance from a man dressed as a clown. While Dan appeared to be thrilled he had finished third in the show, the night took a turn for the worst when he realised Jacqueline was not there. An insider explained: "Dan and Jacqueline ended up having an almighty row - she was screaming and shouting in the street and even called him a [expletive]. "It certainly wasn't the welcome home he was hoping for." Dan and Jacqueline, who share daughters Ella, three, and three-month-old Mia, split in May after marrying in June last year, following a series of rows surrounding Dan working away from home. But Dan's time in the Celebrity Big Brother house has given the reality TV star food for thought about his marriage. It certainly wasn't the welcome home he was looking for. Speaking to The Sun after coming out of the house, he explained: "My time in the Big Brother house made me realise the things I was doing wrong and how I was not helping the situation or my marriage. It made me realise my faults. No-one is perfect. "The show strips you back to nothing and you realise how lucky you are and how lucky I am to have my wife. "It made me realise she ain't as bad as I was thinking." Meanwhile, Jacqueline herself has hinted that things with Dan were now back on track. Taking to Instagram, the actress shared a snap of Dan cuddling baby Mia, captioning the post: "It's good to have this man back. He's done so well. I love you. Always." A second photo was captioned: "Couldn't be prouder to be an Osborne." A spokesperson for Jacqueline told The Mirror: "Jacqueline watched the Celebrity Big Brother final from a hotel with friends cheering Dan on and then they went out to celebrate his brilliant achievement. "She was not at the final at Elstree Studios as she did not want to be on TV. Dan was upset Jac wasn't there but all was sorted amicably and the situation quickly resolved. Jacqueline is very proud of Dan's achievements in the house." Sounds like it's all back on track! 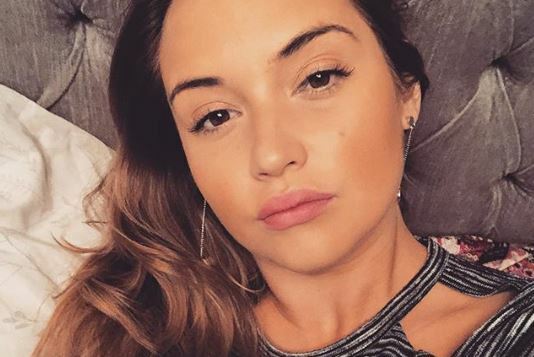 Entertainment Daily has contacted representatives for Dan Osborne and Jacqueline Jossa for comment. Are you watching Big Brother now CBB is over? Leave us a comment on our Facebook page @EntertainmentDailyFix and let us know what you think.